Grow beautiful plants in quality and sturdy planters. Deals from popular UK retailers would likely be on top of your options but you can also look for other great offers. Getting access to quality but cheap planters online have been made so much easier. You can look for excellent planter deals online with just a few clicks away and you can do it in the comfort of your home. Deals and voucher codes that you can use at reputable online UK sellers such as Wilko, Amazon, and ASDA will certainly not disappoint you. Potato Planter Bag to Grow Your Own! Stylish Wooden Planter in 3 Sizes! Potato Planter Bag - Get To Your Potatoes Easier! Enjoy savings on a wide selection of indoor and outdoor planters! Planters, or sometimes referred to as flowerpots, plant pots or flower pots, are containers that have flowers and other kinds of plants in them. They still play an important role up until today. Before, they were used to be made of terracotta. However, there have been changes now for you can see planters made from stone, wood or plastic. There are even those made from biodegradable materials. There are variations of planters. There are pots are in the form of trays with seedlings which are usually common in polytunnels or greenhouses and come with cells. Basically, every cell has a small pot in it, and the trays serve as the flats. You will see holes in the bottom of these pots for water to flow out. You might think that planters are low technology. However, you might want to think of its special features because they will assist you in growing your plants even more productively. This can be a form of investment. So, it would be a good idea that you know what you do before anything else. Self-watering. If you love plants, but you do not have much time to take care of your plants because you travel, and others, and the planters are for you. They will serve as self-watering containers that are reliable. Moreover, these plants have a built-in base as well. They will collect water and then store them later. Once the plant requires watering, the roots will reach its reserves. The right size. If you think that the size does not really matter in planting. You have to think again. Your plants will always demand enough space for it to grow. 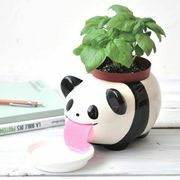 When you select the best container, you will find the right type of plant that you want to grow. Planters should enable you to cultivate your plant at any season. Made of clay. You might have not given it a second thought - but terra cotta pots can work well. They can be small or large. Regardless, they would enable the soil to receive the right amount of oxygen so that your plant grows. Most of the clay pots out there are porous. They would allow the flow of moisture to happen in and out. This is when balance happens. Planters are versatile. They are fantastic when it comes to designing and experimenting. It does not matter whether you want them for short-term bedding displays or for dimensions on your garden, you should not exclude planters from your list. Coreopsis tinctoria. This Coreopsis tinctoria is the best when you put it in a large pot. Just make sure that you combine it with perennials and annuals. Aside from this, euphorbia, phormiums, purple basil and nasturtiums can also work well too. Pittosporun tenuifolium. The mahogany leaves of this are elegant! Its evergreen shrub is rich and it can emerge effortlessly in a pale creamy colour prior to darkening. Only remember that it is delicate so you might want to shelter it during winter. Cosmos. What is truly commendable about this kind is that it comes with a cottage-garden feel. It resembles a daisy-like flower which can add a sense of informality to plants. Apart from this, it also works well with plants on silver foliage. It is also effective. Clematis. There are kinds of clematis perfect for planters. For instance, the evergreen clematis is usually sold at an upright stake. 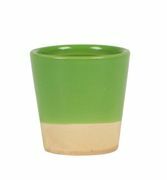 With its trailing habit, it is ideal for the edge of the container. If you want to make the most of its colour, partner it with spring bulbs. Impatiens walleriana. These busy lizzies work well for shady gardens out there. Just ensure that you get them the help they need from deadheading. You can also expect them to flower beautifully most especially during autumn. Do you love to decorate your outdoor space with beautiful flowers and plants? Do you have a green thumb? If yes, you have come to the right place. We have cheap planters that may help you with that and more. 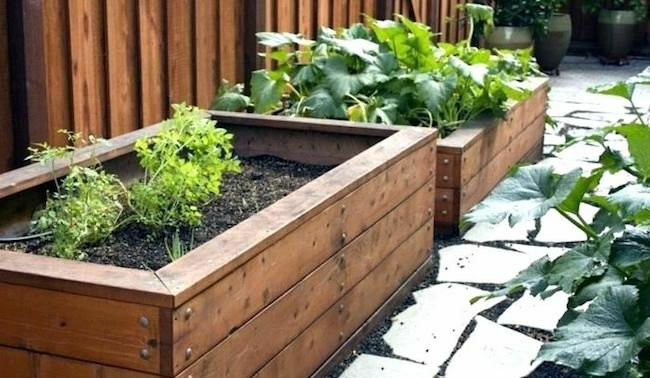 Most of these cheap large planters for outdoors are useful and you can get them at very affordable prices. You do not have to spend a fortune when purchasing cheap plastic planters from your favourite UK shops. With the help of Latest Deals, you can get plastic plant containers without sacrificing your budget. Furthermore, you can find extra large garden pots to give your space a unique touch. Get outdoor pots, large garden planters, and trough planters from your favourite retailer across the country at the lowest possible price. Our massive community of bargain hunters are always on the lookout for the best possible garden planters for sale, deas, discounts and special offers online. We also have a team of money-saving experts who regularly share essential buying tips and tricks that can help you get some serious money off on your online and instore purchases for wooden garden planters and more. Majority of online UK retailers have sale events, seasonal clearances, and flash sales where you can save up to 50% off on tall planters, large plant pots for trees, and on all sort of planters. Moreover, watch out for their Black Friday and Boxing Day deals where their prices are reduced even further. If you want to maximise your savings, make sure to use the latest planter discount codes we have here. We also have Ikea planters voucher codes where you can get freebies or free shipping for indoor planters.